Who can believe that Christmas is less than a month away? I love everything about Christmas from the present wrapping, to the seasonal drinks and the way everyone just seems that bit more jolly around festive times! One of my favourite things in the run up to Christmas is jumpers especially the festive ones, and if you don't own one or have never owned one you haven't lived. 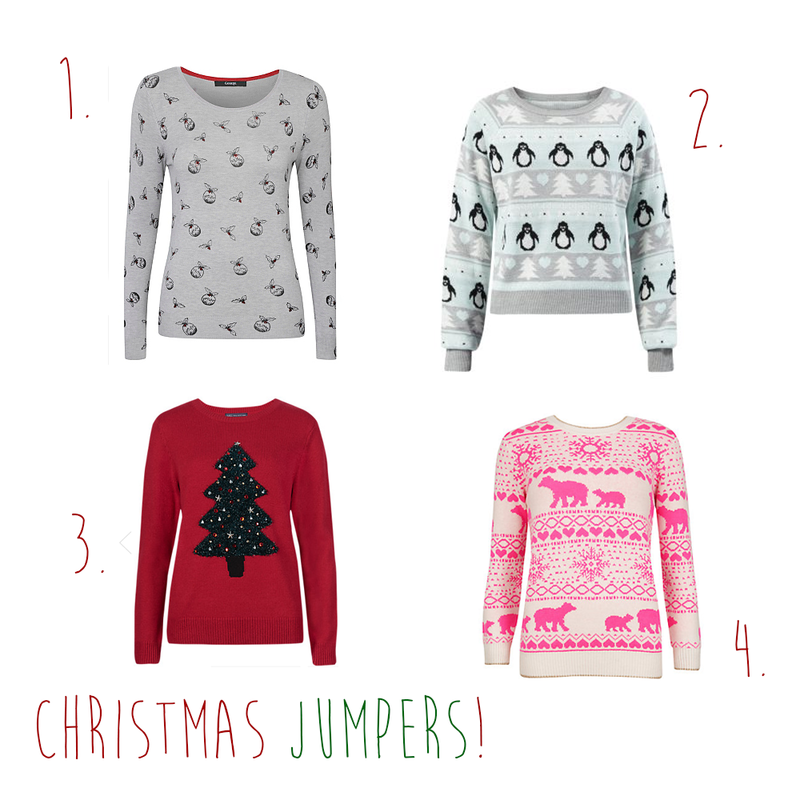 As I love Christmas jumpers SO much I actually decided to make a wishlist of the ones which I want and probably will end up going out and buying (too cool right?). I love Christmas jumpers which are sparkly and like nothing else you'd wear at any point of the year and it's only acceptable due to Christmas. Let me know which your favourite one is in the comments below! 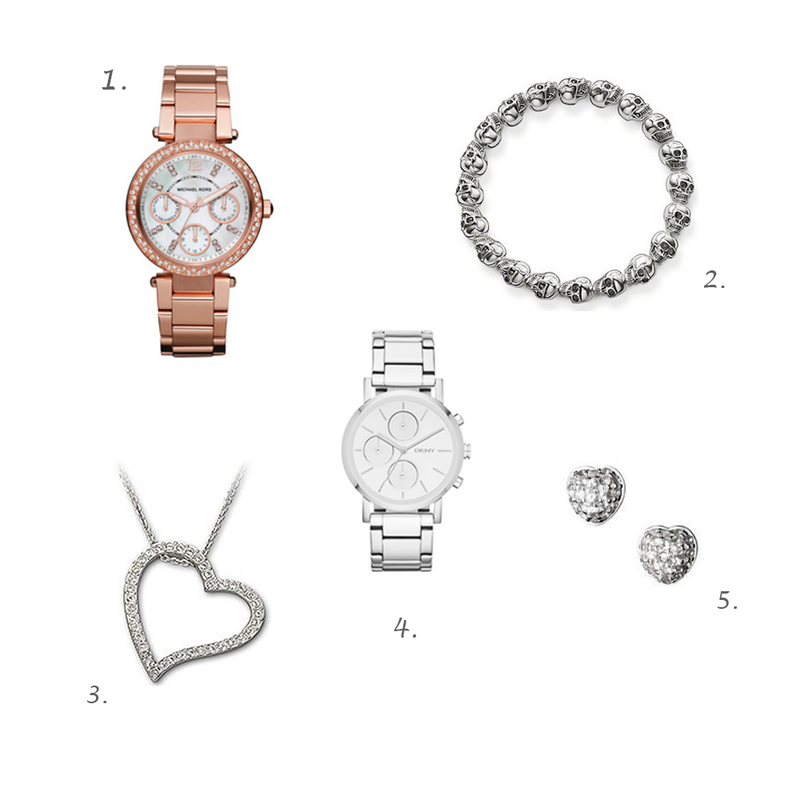 As Christmas is fast approaching, presents are on most peoples minds including mine and as you get older you turn to more "grown up" gifts such as jewellery and watches and what better way to look at amazing products and share what I love with you guys than a wishlist post! So in an ideal world where money isn't an object these are some of the amazing things I'd love to get my hands on! 1. Michael Korrs Rose Gold Parker Watch// This watch is something I've wanted for a good few years now and I always see it pop up around Christmas time as lots of boyfriends seem to buy their girlfriends these (I wouldn't complain) but I think they watch itself looks classy and elegant and I love the colour and the watch face. 2. Thomas Sabo Rebel At Heart Skull Bracelet// I love this bracelet so much it reminds me of something which I would of worn back in my alternative days, but with the twist that it is £300 more than the ones I used to buy back then, It suits me down to a t with the skulls and the silver looks classy, this bracelet is something I'd love to get my hands on one day! 3. Swarovski Love Pendant// I am such a big fan of heart necklaces as I think they're super cute, I have been wearing the same one for a while now and it would be nice to treat myself to a nicer one, this is one of the cheaper things on this wishlist at £79.00, it's simple yet very elegant and pretty! 4. DKNY Silver Chronograph Lexington Watch// Who doesn't want a DKNY watch, or anything from DKNY for that matter. I love this watch because it's so simple, and such a pretty design, this is something I would definitely love to get in the future. 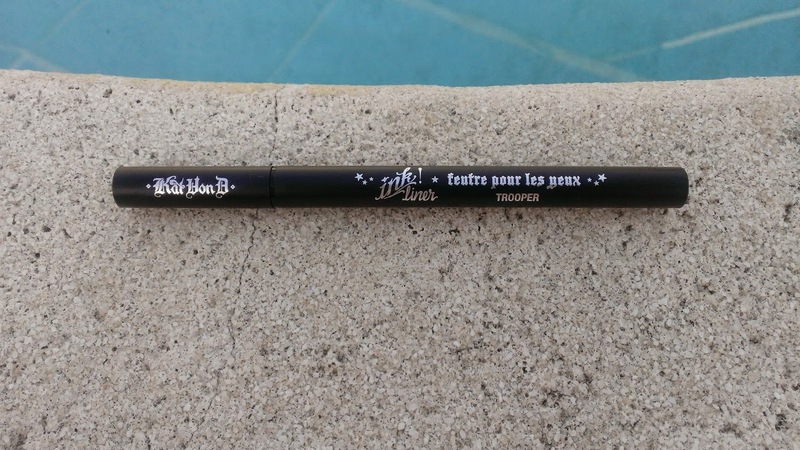 Kat Von D Ink Liner! 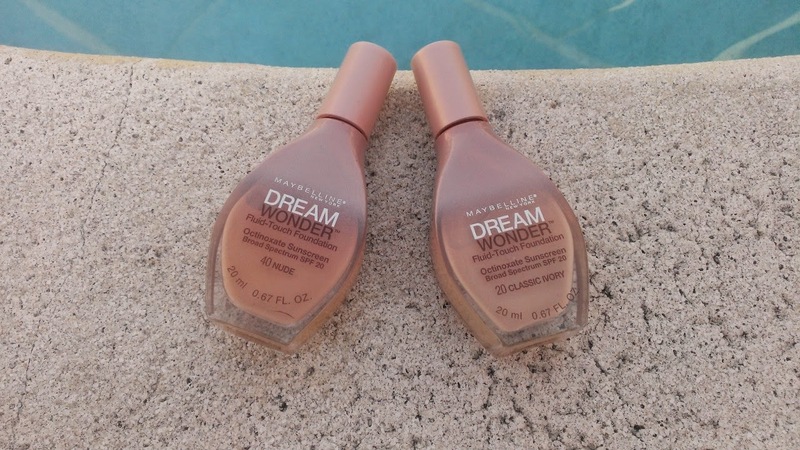 I'm still making my way from the products I bought whilst I was in the states, but the other day I popped onto to Sephora to look... and ended up placing an order, my bad! So I have another one of these beauties on the way, which I am super excited about. I have always been a fan of pen liners as I am useless at drawing on my eyeliner with the liquid ones which you used to get more of a few years back and since these pen liners have become popular I can finally do eyeliner even the cat eye which I never thought I would be able to do! This eyeliner is a particular favourite of mine because it literally lasts for days (I haven't obviously tried) but I have worn it on a night out and then it was still exactly the same in the morning (tut tut for not taking off my make-up) In fact I know this eyeliner has long staying power due to the length of time I take when it comes to scrubbing it off before I go to bed! I guess that's why it is called the the Ink Liner. The eyeliner is easy to apply and doesn't dry out after a few uses FINALLY an eyeliner that lasts. It's pretty pricy for an eyeliner as far as I usually pay around £2 for mine, but it's worth the money for it. I have a couple of mini ones on stand by for when this runs out and I can hopefully beg my dad to make a trip to Sephora in the future! I enjoy the packing as to which this eyeliner comes in as it is simple and very Kat Von D like with the stars. I am super excited for my Sephora order with the Kat Von D studded lipsticks in to arrive!